Over the past seven years, Sturgis Charter Public School students and faculty have developed an innovative new carrier that could be adopted by international marine mammal scientists to use to rescue stranded dolphins and other marine mammals. 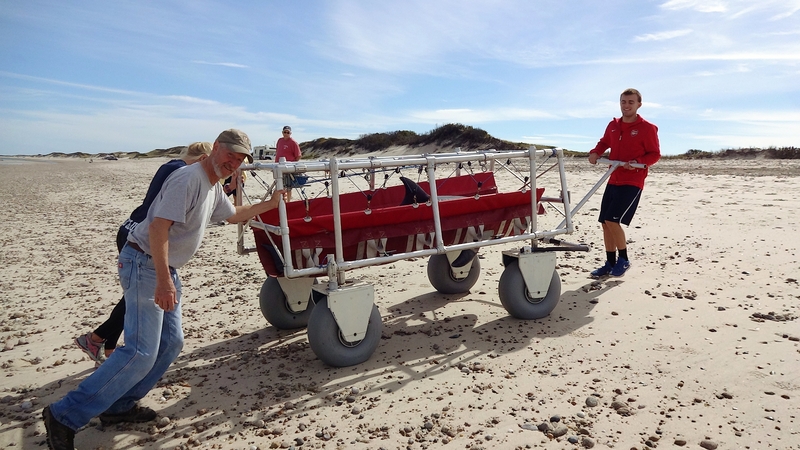 Designed to be pulled through beach sand quickly by one or two people, the Sturgis Dolphin Rescue Carrier can hold up to 600 pounds and is expected to increase the odds of saving beached dolphins and other marine mammals, possibly including small whales. According to IFAW, Cape Cod is one of only a few places in the world where mass strandings of dolphins occur on a regular basis. The Cape accounts for about a quarter of all live dolphin strandings in the US, with 114 stranded live dolphins reported in 2017. 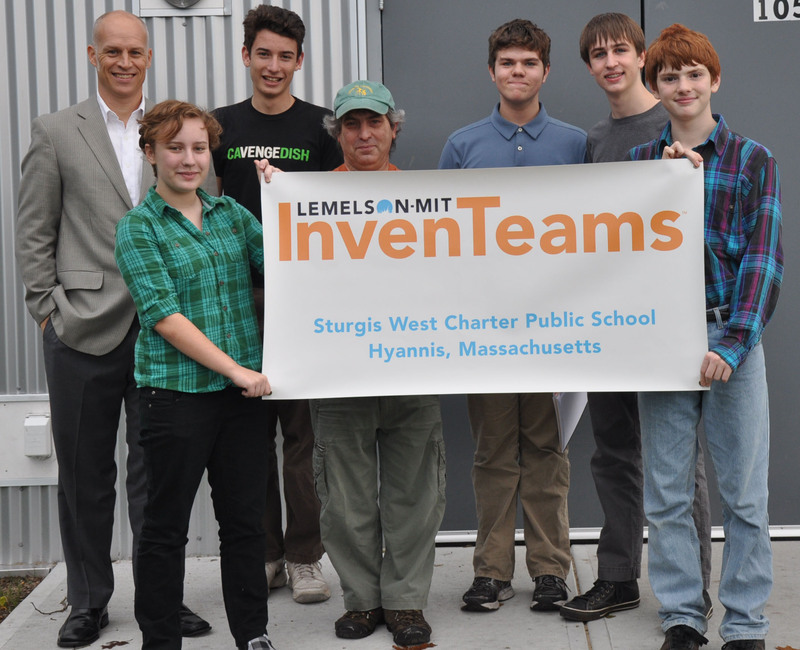 The Sturgis Charter Public School-West Campus in Hyannis, Mass., received a $10,000 InvenTeam grant from the Lemelson-MIT Program to build a marine mammal rescue transporter during the 2012-2013 school year. The transporter was designed to quickly and easily move stranded dolphins, small whales, and seals at low tide off the beach and into waiting vehicles. 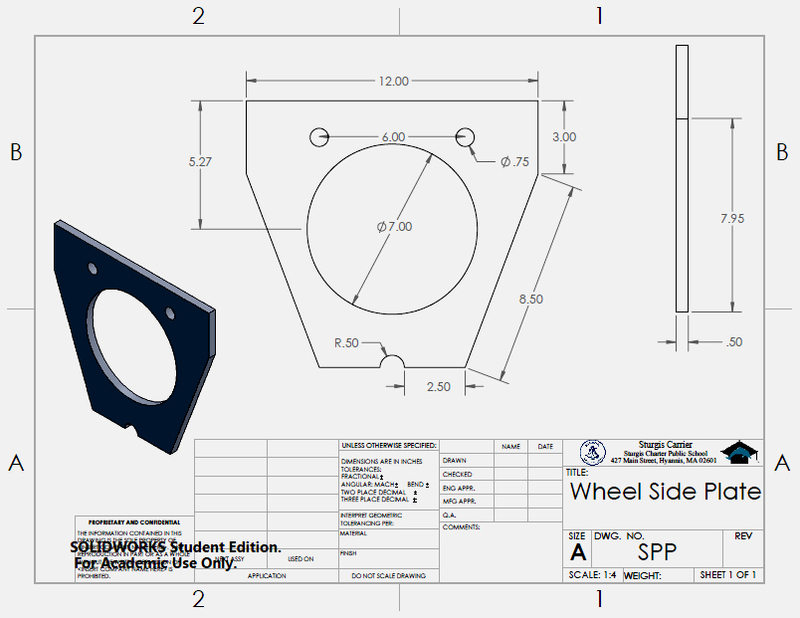 The team stated, “Our inspiration for our affectionately named ‘Dolphin Cart’ is our surroundings. Members of our team come from both Sturgis Public Charter School campuses and we are from all around the Cape. At the time when we were discussing what our invention would be, there was a lot of dolphin strandings going on. 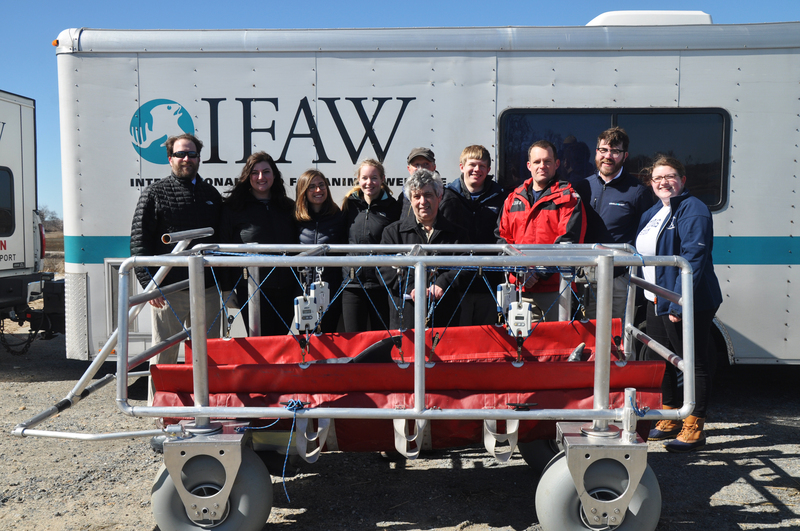 ” The team worked throughout the year to design and build a prototype device with support from technical mentor and father of one team member, Paul Fucile of Woods Hole Oceanographic Institution. 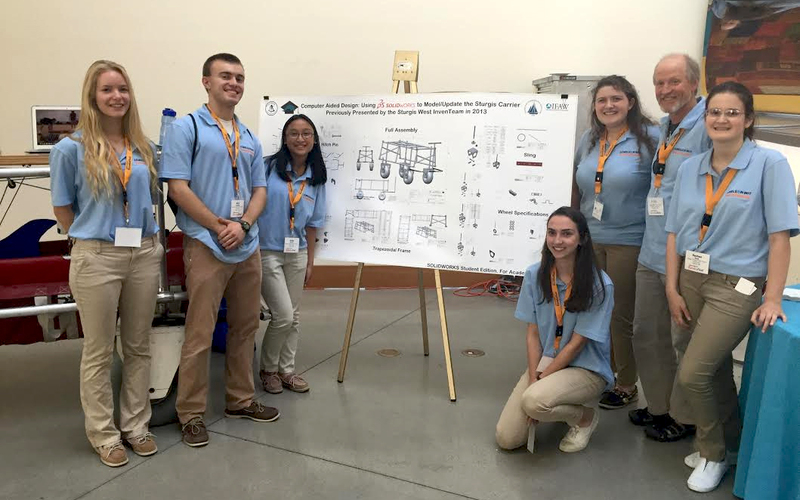 The InvenTeam showcased their prototype at EurekaFest, the capstone event held at MIT in June 2013. 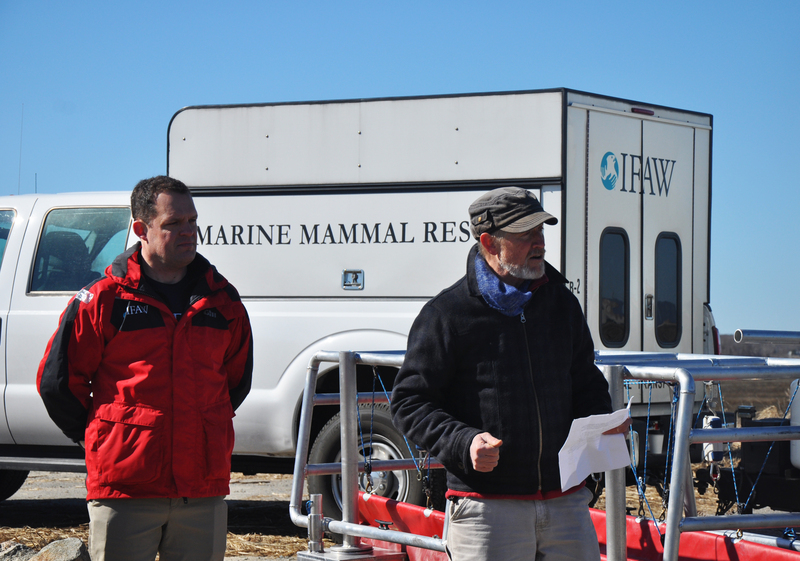 The Sturgis Dolphin Rescue Carrier is expected to get real world use aiding IFAW’s dolphin stranding response effortsThe students formally presented their Sturgis Dolphin Rescue Carrier to representatives from the International Fund for Animal Welfare (IFAW) at Gray’s Beach on March 30th, 2018. We hope you enjoy learning more about this collaborative initiative! -Leigh Estabrooks, Invention Education Officer at the Lemelson-MIT Program. 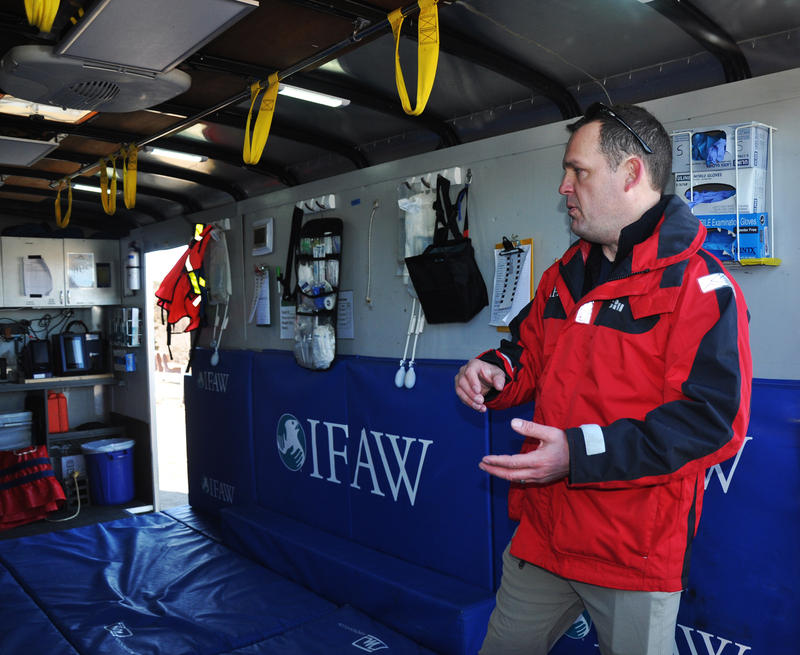 “For the last 20 years the International Fund for Animal Welfare’s stranding team has rescued and studied marine mammals on Cape Cod. Education and research are key to the development of technologies and techniques to increase the welfare of animals in distress. We are thrilled students at Sturgis Charter Public School have contributed their talents to our research initiatives to help improve the rescue of stranded marine mammals. You’re expecting to hear some dry technical background about this moon landing looking contraption behind me…. Talk to me, personally or better yet, some the students here who were behind its design. It does seem otherworldly….. Instead I’d like to ask: Why am I here? ‘cause I’m a teacher and I recognize the potential that youth can bring to our world. I recognize that our future should be better than our past. I recognize the power of science and technology to deliver a better world, not just for humankind, but for other creatures that share our planet. More than 3 years ago a group of 6 to 8 of the best students I have ever taught came up and asked that I be the Sturgis faculty sponsor for them to finish a seriously cool technology project, The Sturgis Dolphin Carrier, begun around 7 years ago that lay, unfinished and collecting dust in the basement of our building. 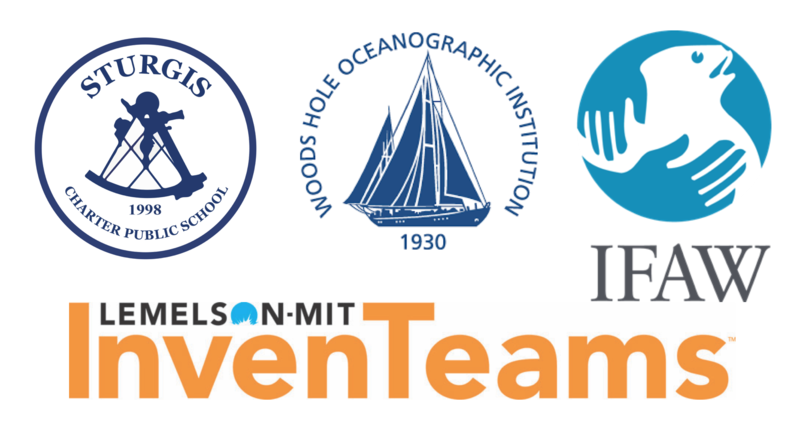 This project had been supported by Lemelson-MIT and had a direct link with the Woods Hole Oceanographic Institute. I knew well these two, they’re amongst the most highly regarded scientific/technological institutions in the world…. The potential to finish something truly impressive was fully in the cards I was being dealt, I couldn’t say no! All I had to do was guide the energy and intelligence of this group of students I’d already been highly impressed with. All I had to do was “Ride Herd”. To recognize the seed money and ability of an organization like Lemelson-MIT to motivate high school students to develop technological solutions to problems we might not even realize exist. To acknowledge and celebrate the passion of two groups of students, who with the guidance of an incredibly father and a couple of teachers, designed a better way to save the lives of remarkable creatures that strand themselves in our dry-land world, a place their bodies cannot long survive. We are here to give to the world’s most active dolphin rescue organization, IFAW, a technology that should do a better job. A technology that can transport a stranded dolphin faster and with less trauma to IFAW’s nearby “dolphin hospital” and then get them released back into the water with a minimum amount of handling. I am here because I recognized a better future, an unfulfilled promise that a group of really smart and dedicated youths wanted to bring to our world. I’m here because I was taught at an early age to finish projects that deserve to be finished. I am here because I am lucky to be a teacher at Sturgis.